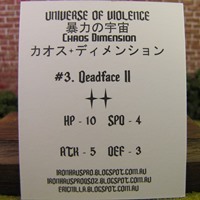 Deadface II was sculpted by Jimmy of Ironhaus Productions. When the figure was ordered there were several possible coloring choices (eg, Black, Glow-In-The-Dark, Pine, Neon Red, etc.). 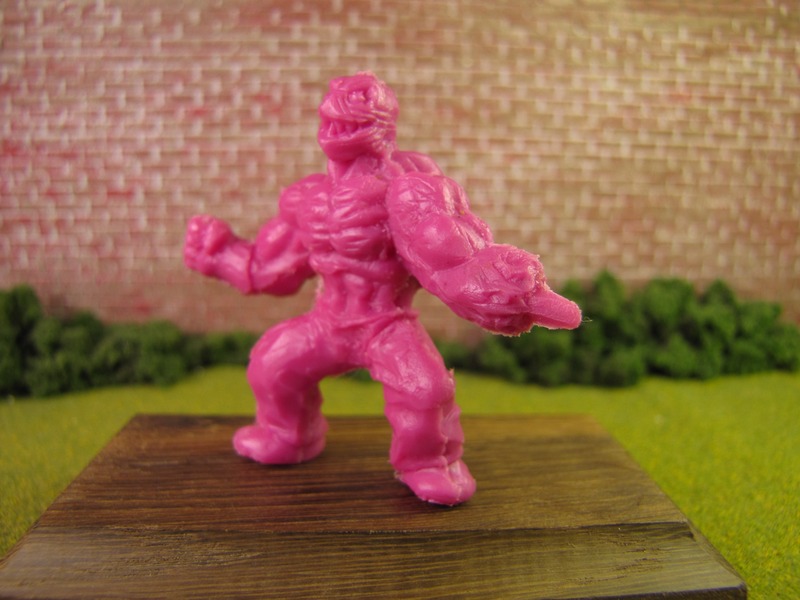 There was also an option to select a random color; which was selected and resulted in the Magenta (Neon Pink) figure. 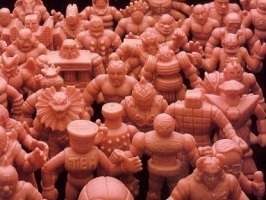 Many of the second wave figures were scented. The available scents were peanut butter cookie, cotton candy, toasted marshmallow, apple cinnamon, and aphrodisiac (floral). 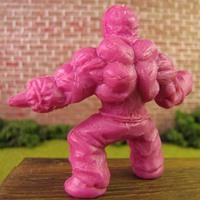 It seems that like the scent of this figure was cotton candy, but it was difficult to be 100% sure. There was certainly a sweet scent to the figure. 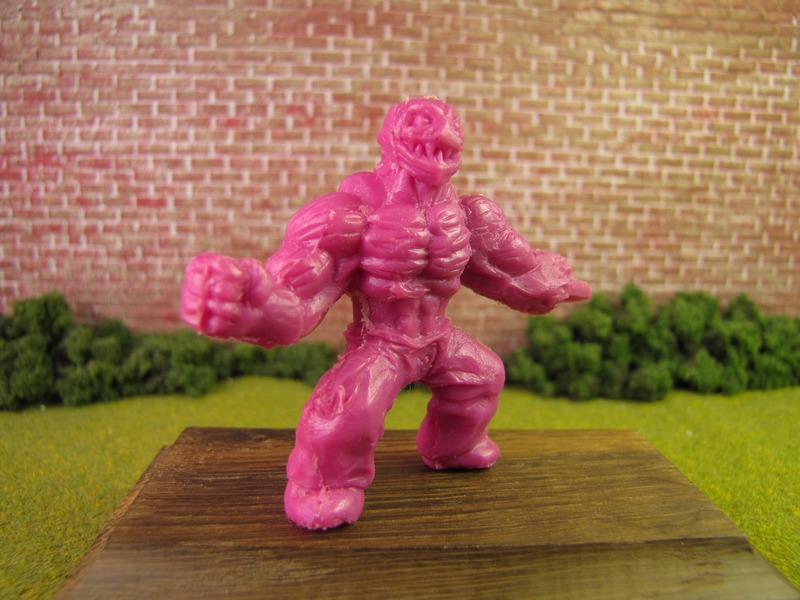 If Hell Chicken was a return to UOV, then Deadface II shows it roots to M.U.S.C.L.E. figures. I wrote that sentence before I discovered this post. It really validated my idea. 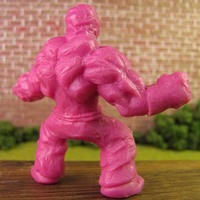 The Deadface character clearly has M.U.S.C.L.E. roots. Even without that discovery I would have made the same argument. 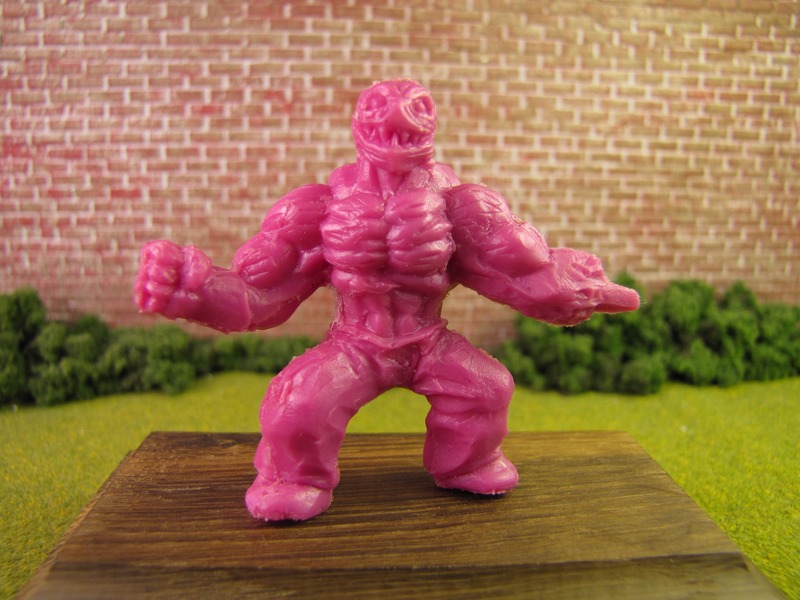 The posture, styling, and overall aesthetic forces the view to think M.U.S.C.L.E. figure – which is an incredibly positive thing. 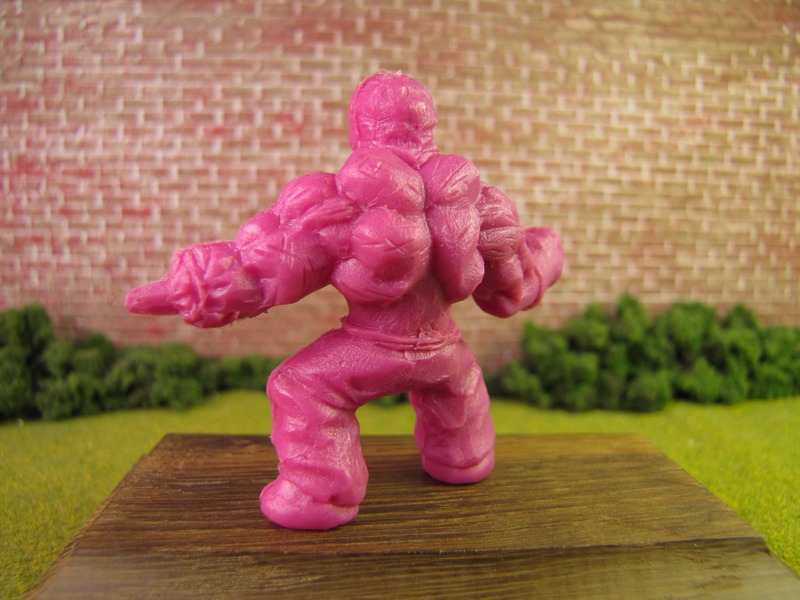 I think the impression is made even greater by the Magenta-like coloring of the figure. 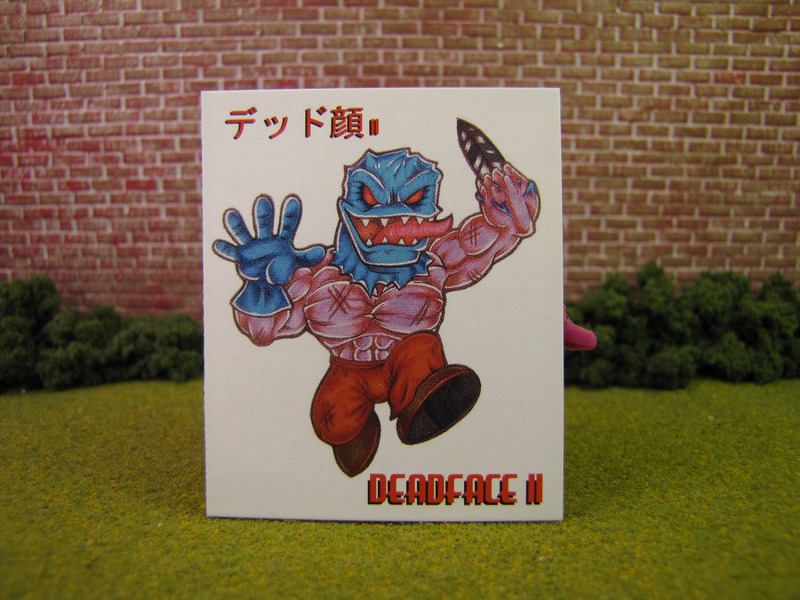 Deadface II, wisely, never attempts to be a M.U.S.C.L.E. figure. It still feels like a fresh and original figure. 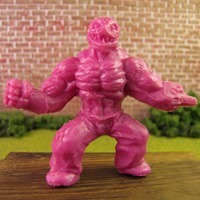 The face of the figure seems too violent and scary to be a M.U.S.C.L.E. figure. But it feels violent and scary without having to be gory. 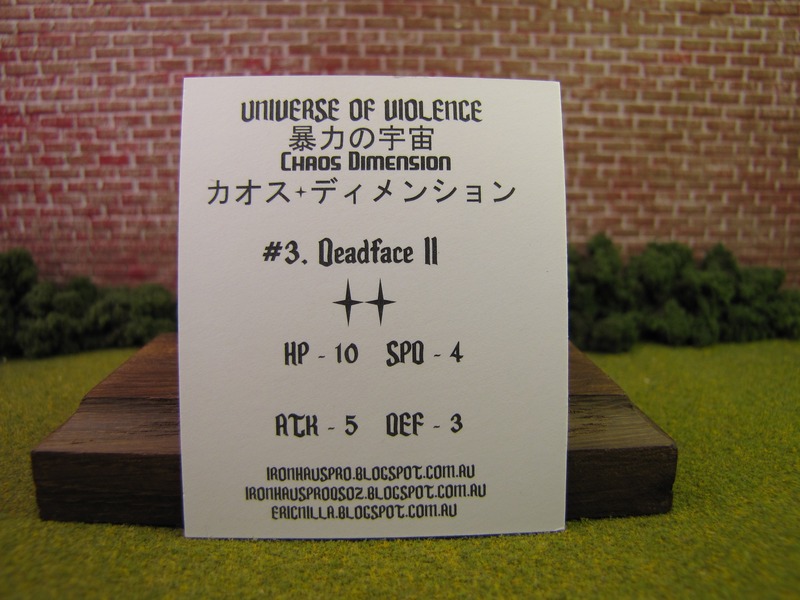 Many figures end up gory instead of scary. 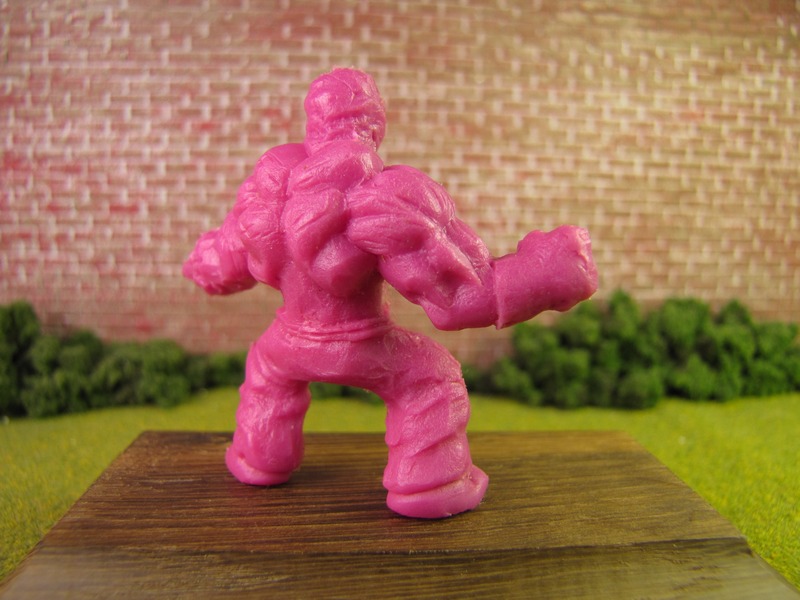 I also like the exaggerated musculature of the figure. And I think I like it because it serves as a good counterbalance to the plain pants. The reason the plain pants don’t read as ignored or too simple is because of the rope belt. That minor detail is crucial. I would have said the knife/weapon arm was my criticism of the figure, but my kids made me feel kind of stupid for not seeing it sooner. I defer to their expertise. They see the toy. They want to play with the figure. 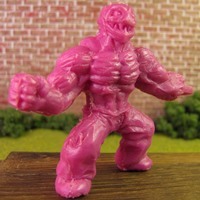 I was the overly critical toy collector looking at this figure after gushing over Hell Chicken. 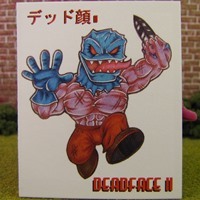 If you haven’t purchased one, then you can order your Deadface II right now. 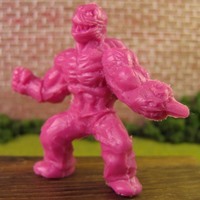 If you are a M.U.S.C.L.E. fan, then you need to add this figure to your collection. This entry was posted on Thursday, November 26th, 2015 and is filed under Art, UofM News. You can follow any responses to this entry through RSS 2.0. You can skip to the end and leave a response. Pinging is currently not allowed.